According to the first of Walgreens’ weekly “Flu Index” snapshots for the 2017-18 U.S. flu season, the “designated market areas” of Harlingen, Brownsville, McAllen and Weslaco have more residents sick with the flu than anywhere else in the country, though the Beaumont-Port Arthur DMA is close behind in second place. There’s no place like Texas for catching the flu this winter — especially the Valley. In fact, all but two of the top-10 flu-activity DMAs for the week of Dec. 2 are located in Texas, according to the Flu Index, which the pharmacy chain debuted in 2014. The other two hotspots are in Arkansas DMAs that include Little Rock-Pine Bluff and Fort Smith-Fayetteville. Texas leads the nation in flu activity, according to Walgreens, with Arkansas and Tennessee in second and third place, respectively. 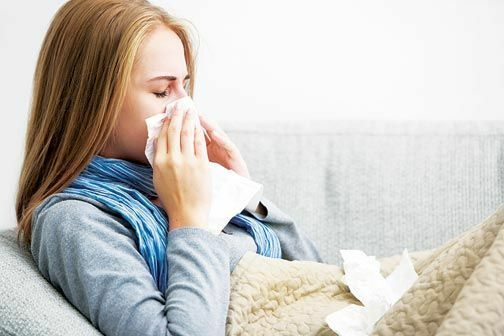 The Flu Index typically shows deep South Texas maintaining high flu activity throughout the season and also finishing strong at the close of the season. The ranking is based on weekly prescription data for antiviral medications — Tamiflu, for instance — from nearly 8,000 Walgreens locations around the United States and Puerto Rico. The Flu Index also shows incremental changes in flu activity week to week for individual DMAs and states, based on antiviral prescription data. The U.S. Centers for Disease Control and Prevention said flu season started early this year, with more than 6,000 people having tested positive for the virus so far, which is more than twice the number of people infected by the same time last year. The dominant flu virus this year is H3N2, an especially virulent form of the virus. Influenza is caused by any one of a number of related viruses. Symptoms normally begin abruptly and sometimes include fever, chills, body aches, dry cough, sore throat, runny nose, headaches and extreme fatigue. The flu can last one week or more and can even lead to death. Health experts say flu season is always unpredictable and that it’s too soon to know how severe this season will be. The CDC is advising against the use of the nasal spray flu vaccine, since research from prior flu seasons showed no protective benefit. The Texas Department of State Health Services recommends flu shots for everyone 6 months and older. Getting vaccinated is especially important for people with chronic health conditions, pregnant women, young children, older adults and everyone in the household over 6 months, according to DSHS. In households with babies under 6 months, all family members should get flu shots, said the agency. Besides getting vaccinated, experts recommend that people wash their hands frequently, cover coughs and sneezes, and stay home when they’re sick to avoid infecting others. Likewise, anyone experiencing flu symptoms is encouraged to seek treatment promptly. Antiviral drugs can help shorten the duration or ease the severity of the flu if begun within 48 hours of the onset of symptoms. Dr. Jennifer Shuford, DHHS Infectious Disease medical officer, said flu vaccines prompt the body to produce antibodies that fight the viral infection, though it takes about two weeks for the process to start. 6. Little Rock-Pine Bluff, Ark.